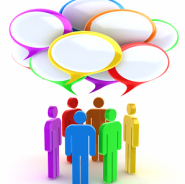 A Patient Participation Group is a number of patients that have volunteered to offer their opinion on the developments of the practice and feedback to the team any comments they have that represents the patients views. This information is very important to us and can shape some of the decisions we subsequently make. Below are two surveys carried out on our patients during 2016. 1: What are we doing well? 2: What could we improve on? The results are shown in a pie chart in the attachment below. We do understand that contacting us promptly and making an appointment when you want one are the two areas of greatest concern and we do attempt to meet the demand as much as possible, this work is never complete and is on the agenda for the Partners to discuss on a regular basis. The next survey was actioned by the CCG and again the results are shown below and reflect our success in various areas of the business against the national average as well as the local CCG average. If you have any comments about these surveys, please do let me know by calling me on 01323 482301 or writing in, your views are always welcome. A future development that we would love our patients to be involved with is the possibility of the practice moving into new premises in Polegate. This does not affect the Hampden Park surgery at all which will continue in its current format. Any comments about services we are currently unable to provide, but may be able to have the room in the future would be welcomed and the Friends and Family comment cards in the waiting room enable us to capture this information. If you would like to speak to me in more detail about this or anything else concerning the practice or your care, please ask for Anita Taylor, the Practice Manager at reception. If you would like to join our Patient Participation Group, please call me on 01323 482301 or write for my attention.